The cricketing trends on social media today revolved around various cricketing events. There was a lot of excitement around the decider T20I between New Zealand and India. The final game of India Trans-Tasman tour will be played on Sunday at the Seddon Park in Hamilton. The series is currently locked at 1-1 and both the teams will be hoping to end the contest on a winning note. It was also a doubleheader in the Big Bash League (BBL) as Adelaide Strikers clashed with Perth Scorchers while the Sydney Thunder faced the Hobart Hurricanes. The defending champions Strikers were already ruled out of the tournament and registered a consolation win over the wooden-spooners Scorchers. The Thunder though were in contention and had to win in 11.3 overs to keep their hopes alive. But the Hurricanes bowling attack turned out to be too good as they couldn’t replicate the Heat heroics who romped past the Stars the other day thanks to Max Bryant and Ben Cutting. However, the Thunder managed to win the in the last year but were knocked out. 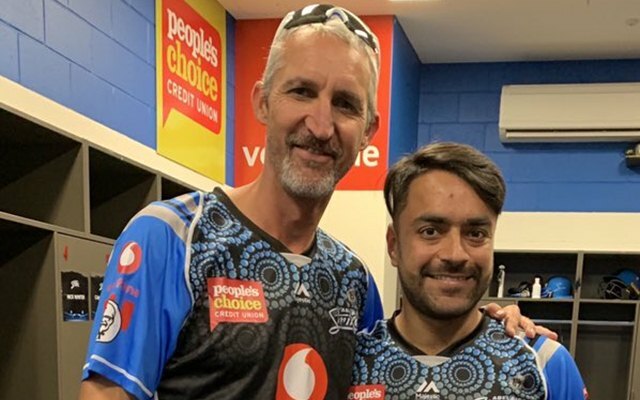 Rashid Khan, after ending the campaign, thanked all the supporters of the Strikers and hoped that they will do better next season. You guys and everyone that comes and watches us is what makes Adelaide Oval so exciting to play at. Maths was never my favourite subject at school, hence my current time piece. Wishing you a great Happy birthday and a wonderful year ahead. @glennmcgrath11 You've always been an inspiration. Keep inspiring! Another birthday last week, another delicious @erinvholland Race Car cake! Not growing up anytime soon. Great to be in Adelaide for the @StrikersBBL vs @ScorchersBBL match today. Honoured that these guys have decided to use my @KookaburraCkt bats for the game dedicated to all thing Indigenous cricket.